I am a system engineer in Demeter System Pvt Ltd. It is Alliance Partner of National Instrument. I have done the application development, debugging and troubleshooting in Labview. I have also worked on different NI Hardware( CRIO, PCI/PXI, GPIB, MyDAQ, MyRIO). I have good knowledge of Python and MATLAB also. 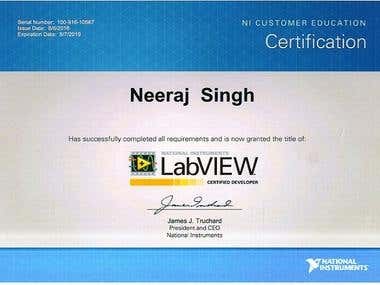 I am a LabVIEW Developer. I have worked on LabVIEW based project which is related to test, measurement, and control. My work in this company is to develop LabVIEW based application and integrate them with NI hardware.